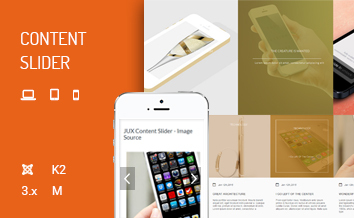 JUX Mashup is a Joomla module that supports retrieving content from Joomla and K2 source. 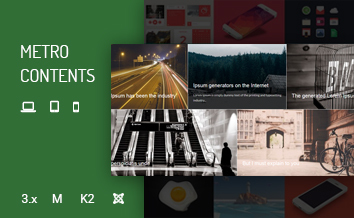 With this extension, your blogs and articles will be displayed nicely in list and grid layout with beautiful animated filtering and sorting content by tags and categories. As always, JUX’s products always design to run smoothly on any high-tech devices in any screen size including smartphones, tablet, laptop, desktop, etc. With JUX mashup, your site’s content can retrieve from both Joomla and K2 sources. In order to display contents from both Joomla and K2 source, you can create different modules at the same page and retrieve contents you want. No more wasting time on looking for the right categories. 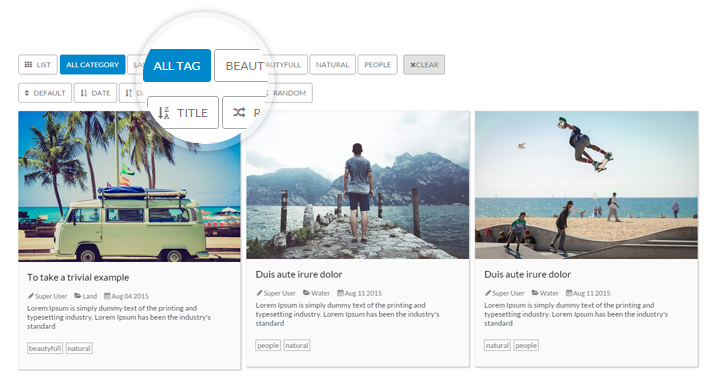 With filter options by categories and tags, you and your site’s visitor can easily find the right articles and topics. Moreover, JUX Mashup also supports to sort articles by date and alphabet so that the latest news or most relevant topic will be showed up without long time searching. 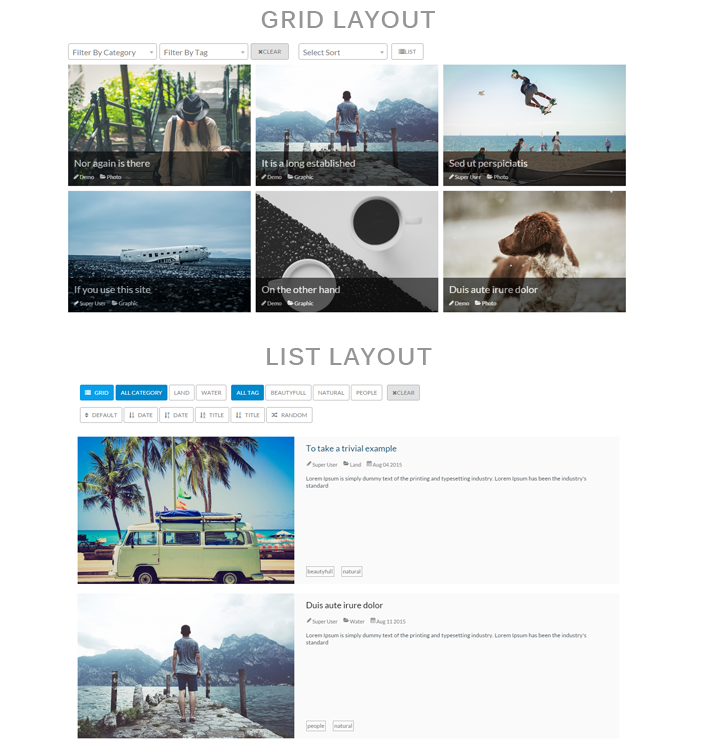 There are 2 layouts for your article to be displayed which are list and grid. 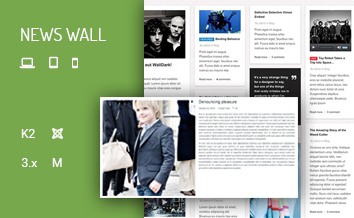 With grid layout: article’s title, category, date, description will show in one frame. With list layout: those options will be arranged nicely beside the main picture of that article. 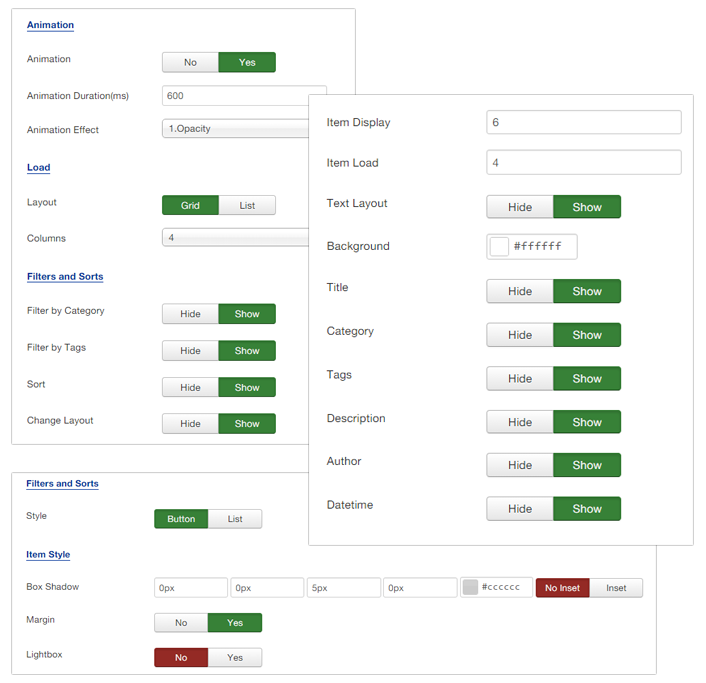 Each article’s options can be hidden at the back-end and you can easily change the number of item display and item load also. If you have used JUX’s products before or you already our members, we believe you already familiar with our extension’s backend setting. Easy to set config with on/off, show/hide options, drag & drop at the back-end, everything will be done as easy as pie. If you don’t believe it, let’s try it!